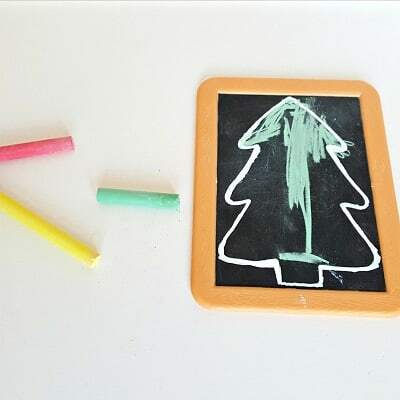 This chalkboard Christmas tree craft is fun for kids and convenient for parents and is one a great Christmas activity to do with toddlers and older siblings too. It’s easy to prepare and store, and engages kids creative and fine motor skills as they draw, erase and draw again! The holiday season can often be filled with shopping, baking, family visits, and school concerts. 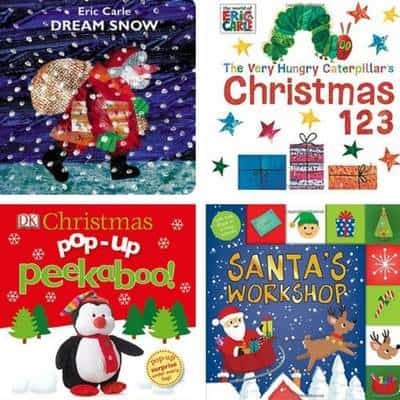 As the days edge closer to Christmas Eve, things start to get especially busy with last minute preparations. 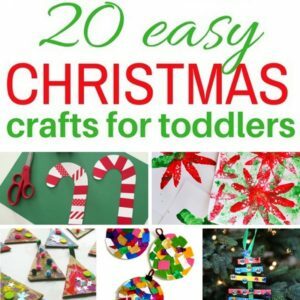 Our easy Christmas crafts post has been a huge hit this year for obvious reasons and here’s another simple quiet-time activity. 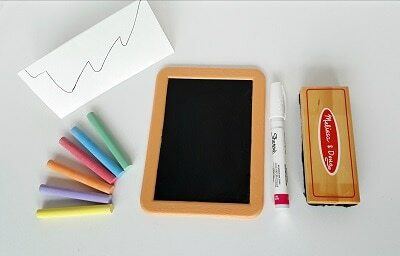 This art activity is an easy one to prepare for your toddler with just a Dollar Tree chalkboard and assorted chalk, along with an oil paint stick. I used an oil paint stick but you could probably use any durable white oil-based paint. You’ll also need a small paint brush to apply the paint. I drew half a Christmas tree on the folded edge of a piece of cardboard. It became the template I wanted when cut out and unfolded. 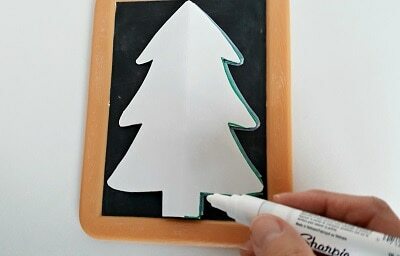 Place the tree template on the chalkboard and draw around the outside edge with the paint stick. Follow the directions on the paint stick to make sure you have a smooth application. Allow the paint to dry well. It dries fairly quickly but leave it for an hour or so if possible to make sure. The Christmas tree is ready for decorating! Your toddler will need little instruction to engage in this activity. 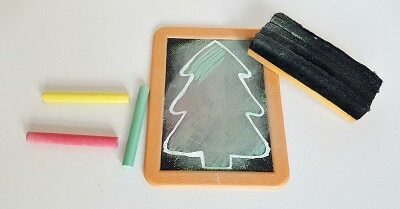 Set out assorted chalk, a chalk brush, and the chalkboard painted with the Christmas tree and watch the creativity flow! Join in the conversation with your toddler as he draws and erases on the chalkboard. Talk about the colors he chooses, how many circles he draws, and whether he’ll put a star at the top of the tree. The chalkboard can be used over and over, allowing designs to be created, erased and re-created time after time. 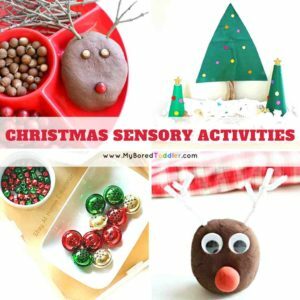 This provides fine motor and sensory play along with engaging creativity skills. This could be the one activity you can count on to keep your toddler busy when you need just a few more minutes in the kitchen, or wrapping a last-minute gift. The small size of the chalkboard makes the activity portable – you can take it along on visits to friends and family. 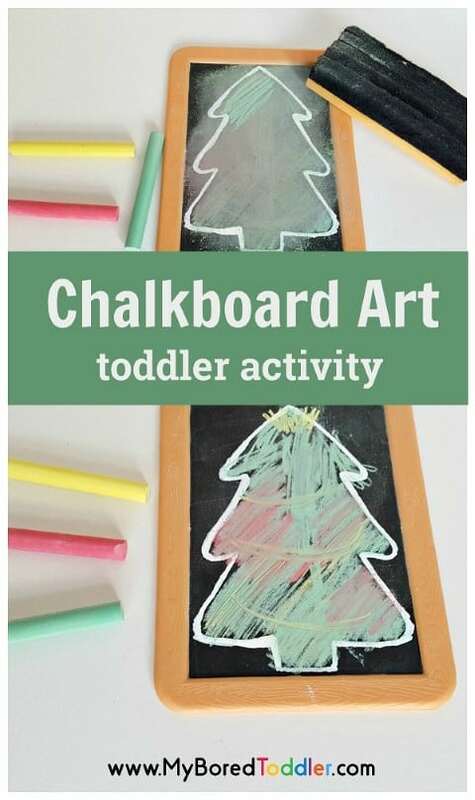 Enjoy this chalkboard art activity with your toddler!